Seattle’s dispensaries raise eyebrows in an ultramodern city that’s becoming known as Silicon Valley North. The scene is mostly old-school pot shops that all carry practically the same selection. Still, we found our gems. Emeralds, if you will. With only a single growing season due to the rainy weather, 90 percent of Seattle’s flowers are grown indoors. A clean remix on a stoner classic. Dubbed a 'clean' dispensary, Ruckus' buyer Bill has a side gig as a Clean Green Inspector. Clean Green Certified is the “organic” seal of approval in cannabis — meaning this crew knows what's up, who's who, and who's up to what. Friendly little pot shop. They usually have tons of Spot and GoodShip in stock. Take the ferry to Brainbridge Island and get high on the greenery alone. Owned by Blues Traveler Drummer Brendan Hill, Paper & Leaf will pick you up from the ferry for a one dollar suggested fee (call ahead to book). Check out their CBD shop next door, which carries the best-curated selection we have seen yet. Founded in 2016 with the mission to demystify cannabis by relying on clarity and fact-based truth. At every turn Raven Grass operates in a way that sets a great example of what the mindset around this industry could be 360. Raven Grass co-founders Nichole Graf, Micah Sherman and David Stein also co-authored the book Grow Your Own: Understanding, Cultivating, and Enjoying Marijuana. Grown indoors organically. Strong, potent, and great for pain relief. The packaging is bright, spiritual, and features a ton of digestible and relevant information. The original strain names keep the legacies alive (Grand Daddy Purple is our forever favorite). Each strain is labeled with three to four different descriptions of how it may make you feel. Our pick is Body, Chill, Meditative. The line’s extensive offering features multiple THC to CBD ratios, including CBD predominant strains. The organic, raw-hemp paper, hand-filled pre-rolls are stored in recyclable glass vials sourced from US-based Service Disabled Veteran-owned Businesses (SDVBs). There is nothing this company doesn’t do right. Founders Wendy, Tim, Steve and Kyle began their cannabis journey while working in greenhouse production in Northern California’s, Mendocino County — known for its legendary land, 1960’s old-school growers, and cannabis way of life. They moved back to their home in Washington State when cannabis became legal and founded Canna Organix in 2013. What makes Canna Organix special is the location of their greenhouse and the extreme attention each living soil-cultivated leaf gets. The greenhouse is located in Sequim, Washington on the Olympic Peninsula, where there are 250 days of sun, cool summers, warm winters and only 16 inches of rain each year. The flower is mindfully cared for; each bud is individually hand-trimmed for minimal trichome loss, and hand watered — yes, hand watered. The only downside is the industry standard plastic packaging the loose flower is packed in. 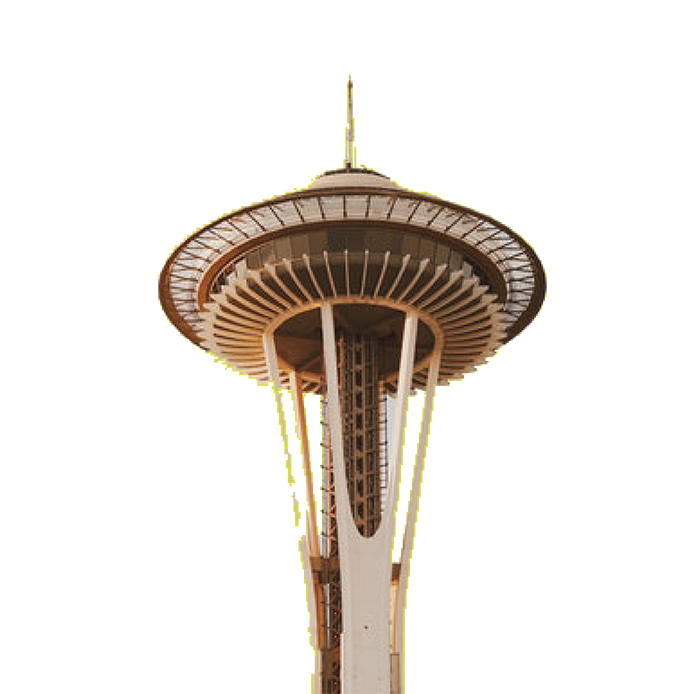 It is the exception to our ‘no plastic’ rule, simply because… Canna Organix is superior in Seattle if you are looking for sungrown cannabis. Medium Strength. Comes in loose flower and pre-rolls. Stay tuned. Canna Organix heads to Oregon next. Co-Founded by Nicole Graf in 2016 with the mission to demystify cannabis by relying on clarity and fact-based truth. The Raven crew nails it again. Organically grown, C02 extracted concentrate in a Quill vaporizer, which uses low dose technology. Echoing the wine industry, the Raven Grass team produces different effects of each strain for each crop. There is nothing this company doesn’t do right. Founded in 2014 by business school friends, Tim Moxey and Chris Abbott, with the mission to create edibles that were delicious, consistent and simple. Spot's cannabis is derived from Clean Green Certified Emerald Twist Farms and its ingredients are top of the line. Its chews and chocolates come in multiple ratios of THC : CBD . For us, whats sets them apart is the effect. Sometimes THC with CBD leaves us more flat than high. Our experience with Spot is high with a major body high. The lower dosed products also feel like a well- balanced high. Or maybe it's just magic. Yeah, we travel just for Spot. Originally founded by Jody Hall, Starbucks alumna and founder of Seattle’s beloved Cupcake Royale, The Goodship is all about having a good friendly trip. We call it edibles for grown-ups. Derived from distilled organic ethanol-extracted cannabis in a state of the art facility, The Goodship offers convenience in multiple doses and covers all bases from CBD brownies to 2.5 mg microdosed pastilles, 5 mg jellies, 10 mg cookies, and more. This line helps you dial in just the right amount to achieve a well-rounded high for any occasion. We are currently obsessed with the Peppermint Patties (which taste exactly like York’s) for a chill time; the dark chocolate Quinoa Crunch Tokens for creativity, and the Pastilles for social anxiety. The easy, uplifting strains are the best gift ever. We buy The Goodship in bulk boxes from Hashtag. Founded by CEO Lynn Honderd in 2013, Marys was created for the Mary in everyone. This transdermal cream has a mild scent that disappears quickly and a great formulation that blends in seamlessly. Derived from all-natural ingredients and no additive chemicals. Most importantly, it works. Folk wisdom on cannabis topicals is that they shouldn’t make you high. However, if we apply this compound to our wrists and ankles we do get the faintest buzz a few hours later. The cannabis is derived from cannabis distillate. Non-sticky and non-psychoactive(-ish). Great for layering with other applications for a subtle extra ahhh. (Our layering is with a microdose of The GoodShip pastilles, and Mary's on our wrists). Helps with aches, pains, and tension.